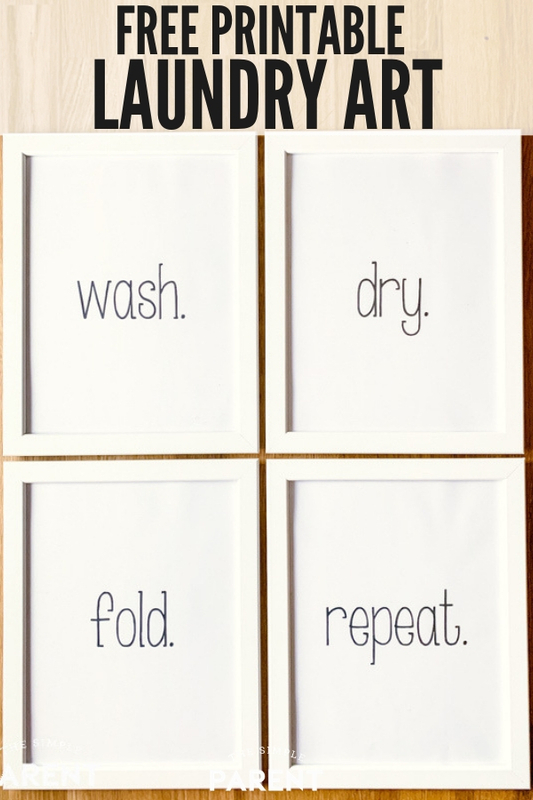 Home » For the Home » Free Laundry Room Printables & Quick Laundry Tips! Free Laundry Room Printables & Quick Laundry Tips! Laundry might not be my favorite chore (is any chore a favorite) but having a laundry room or space I like has helped make it a little bit easier to tackle. Our laundry “room” is also the hallway from the back door into the kitchen so it’s not the biggest space. But with a few simple ideas and some cute laundry room printables, it’s a space that I don’t mind spending time in. The laundry has to get done, after all. In the past few months, I’ve discovered that I can change a lot about the way a room looks and feels but making simple changes. I’ve gotten new bedding for our master bedroom that completely gave me a renewed love for our bed. We’ve added some fun wall art to our hallway that I feel has really added personality to our home. One of my favorite things to do these days is to add wall art in our rooms. It’s an easy thing to do and packs a huge punch. We’ve created focal walls in our game room/TV room and in Carrigan’s bedroom. I love both of them and am starting to plan one for our bedroom. Since our laundry room is a smaller space, I didn’t feel like I wanted to do an entire wall of art. I was worried it would feel like too much. So I met in the middle and made my own cute laundry room signs to frame! Last week I shared the Easiest Laundry System ever that has changed the amount of time I spend on laundry each week. By personalizing our laundry space, I feel like the time I spend in there is more enjoyable too. These days when it comes to art for the walls, I’m all about simple text designs. So that’s what I went with for the laundry room signs. I had some 8.5″ x 11″ frames laying around the house so I just used those for our signs. 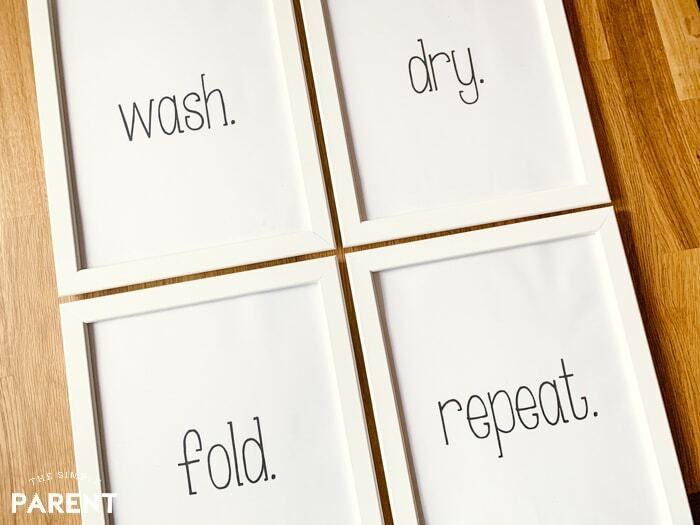 But you can download our signs featuring some of my favorite printable laundry room sayings in either 8×10 printable wall art or 5×7 laundry art — whichever size fits your space better! 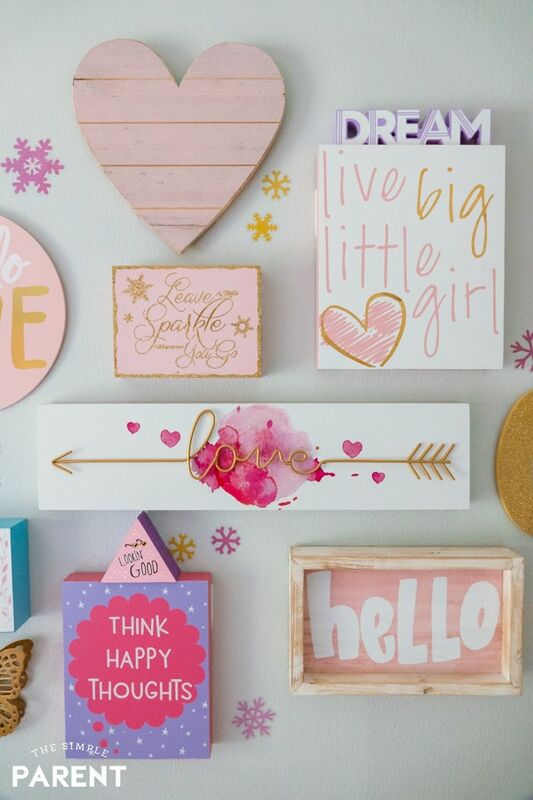 All you have to do is print them on regular printer paper or cardstock, trim the signs, frame them, and hang them! 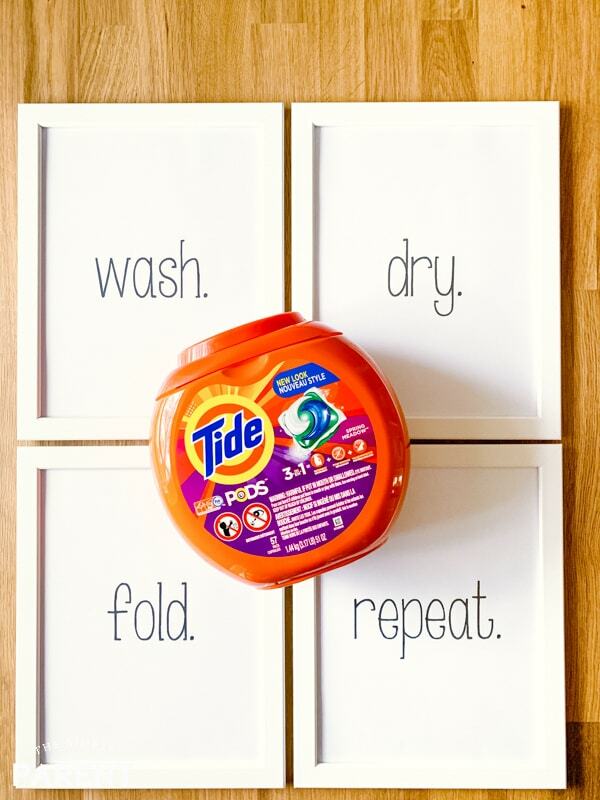 You’ll have a cute focal wall in your laundry space in minutes! 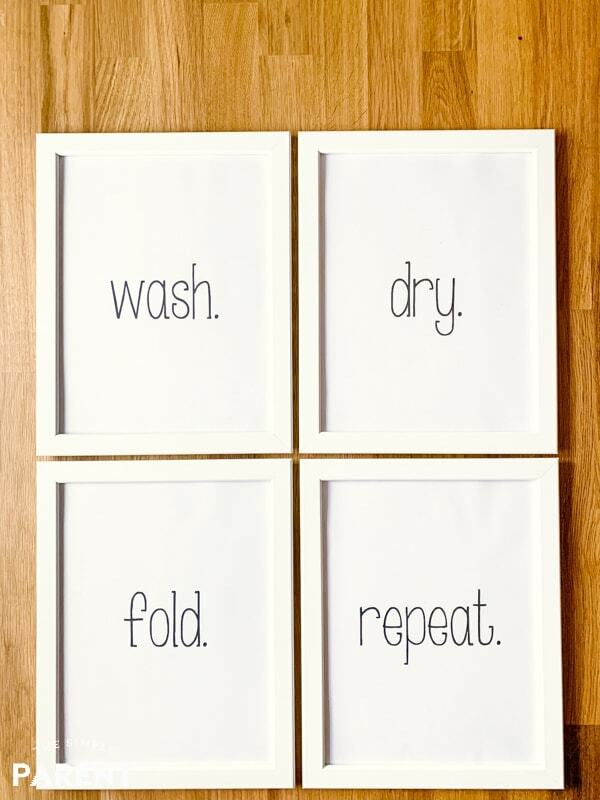 Click the links below to download your FREE laundry room decor printables. Once they’re hung, we’d love to see photos of your laundry room so don’t hesitate to share with us! I did do a few more things besides hanging laundry printables to make my laundry room a place that worked better for me as a busy mom. One of the biggest things was to clear out the clutter and get a bit more organized. Cleaned out all of the cabinets and got rid of anything we didn’t need. I got rid of a lot of almost empty bottles of laundry and cleaning products and freed up a ton of space. Found a recycling bin that was space saving but also had space for all of our indoor recycling. Got a large plastic bin with a lid for the dog food so we didn’t have big bags of it sitting around all the time in the laundry room. Focused on keeping (and restocking) only the laundry products that we use regularly. I’ll admit that sometimes when there is a sale at the store, I’ll buy laundry detergent that may or not work for our family. Then I end up with half bottles and containers sitting next to the brands we actually depend on. 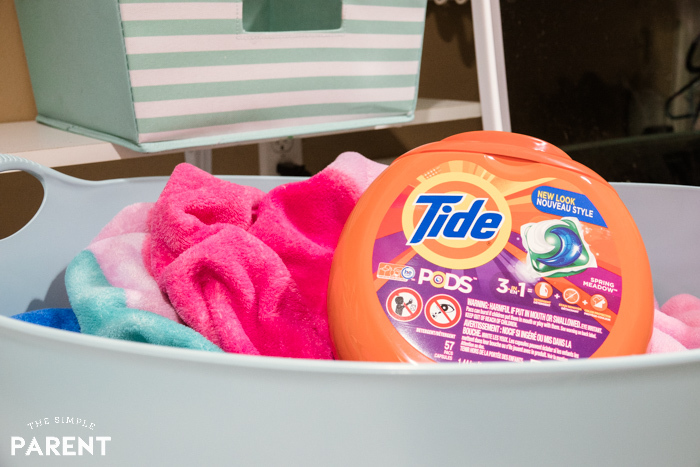 If you stop by our house, you’re going to find Tide Laundry Detergent. In the past, we’ve used Tide Liquid Laundry Detergent, but these days I find myself using Tide PODS for convenience factor and to make sure we’re not wasting detergent! 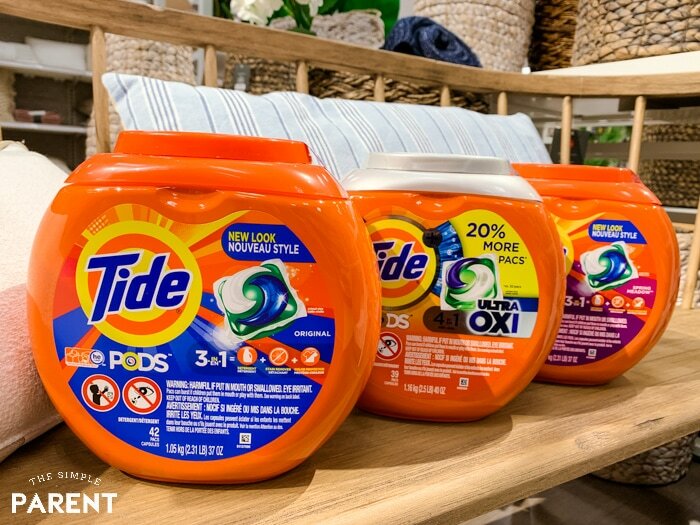 The new Tide PODS 2.0 have ever better stain and odor removal power which is exactly what my family needs! They work great on all of Weston’s baseball practice clothes and uniforms! The 4-in-1 technology includes detergent, stain remover, color protector, and built-in pre-treaters all in one! See how you can save time with Tide PODS? I just throw his uniform in the wash after practice or a game and it comes out looking great every time! That means I spend less time in my laundry room. 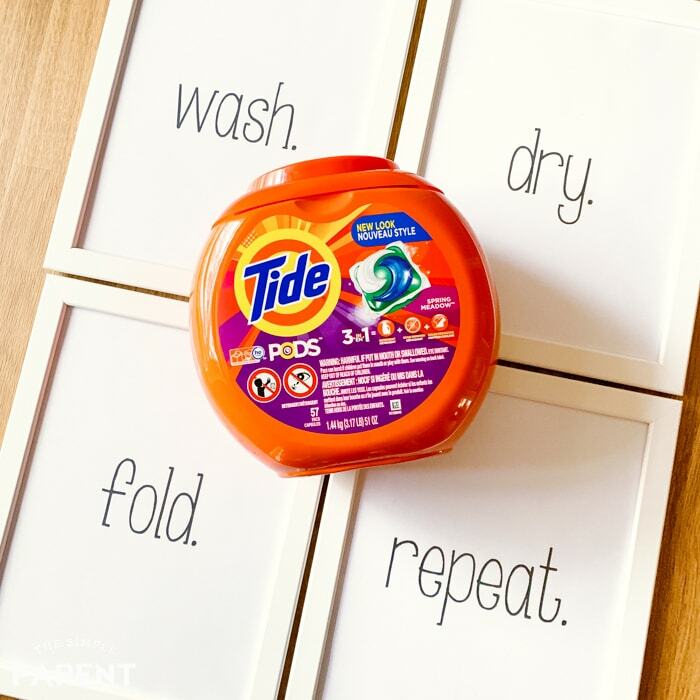 But if you’re the time that’s looking to save money, especially on chores like laundry, now is the time to stock up on Tide! Coupons can be clipped from 2/3 – 2/9. 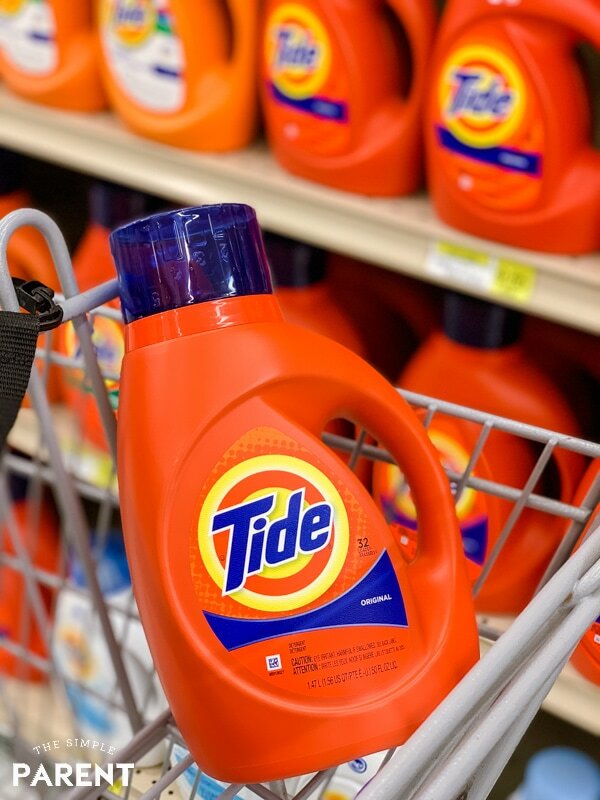 So stock up on your favorite variety of Tide Detergent or Tide PODS to help you save time and money on laundry. 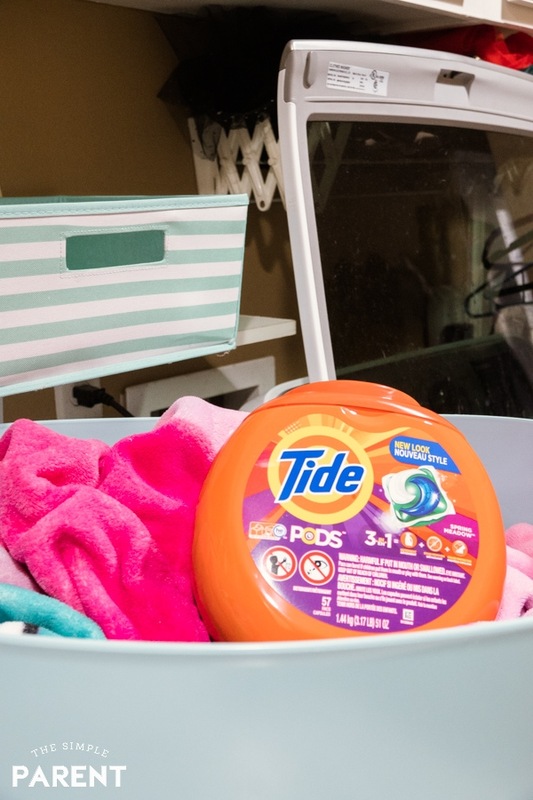 Turn your laundry routine around this year for the better by organizing your laundry room a bit, adding some cute factor, and saving on the laundry detergent that busy families can depend on. It’s the perfect way to make one chore feel like less of a chore! « Crockpot Chicken Tacos Make Dinner Oh So Easy!